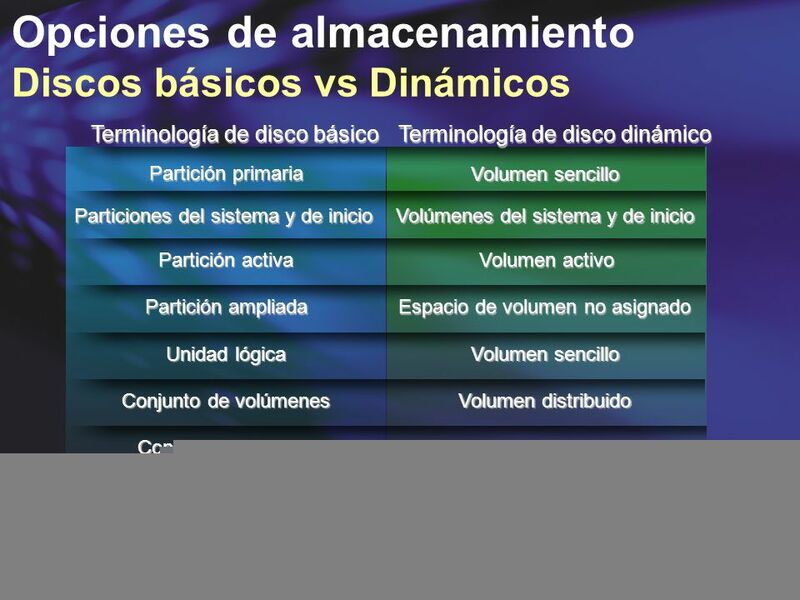 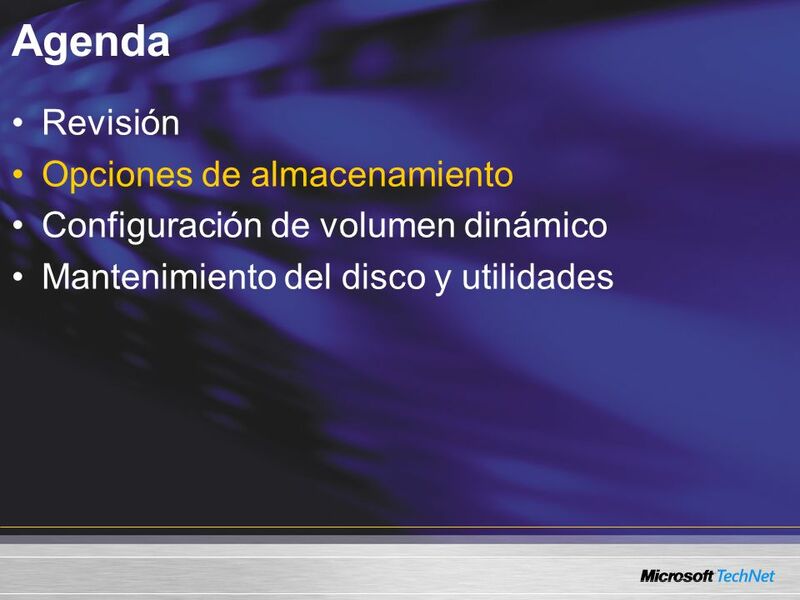 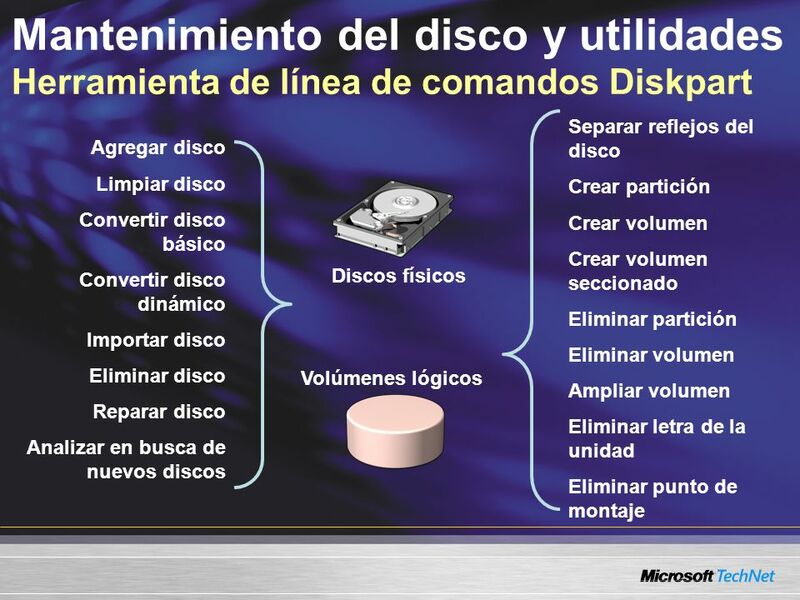 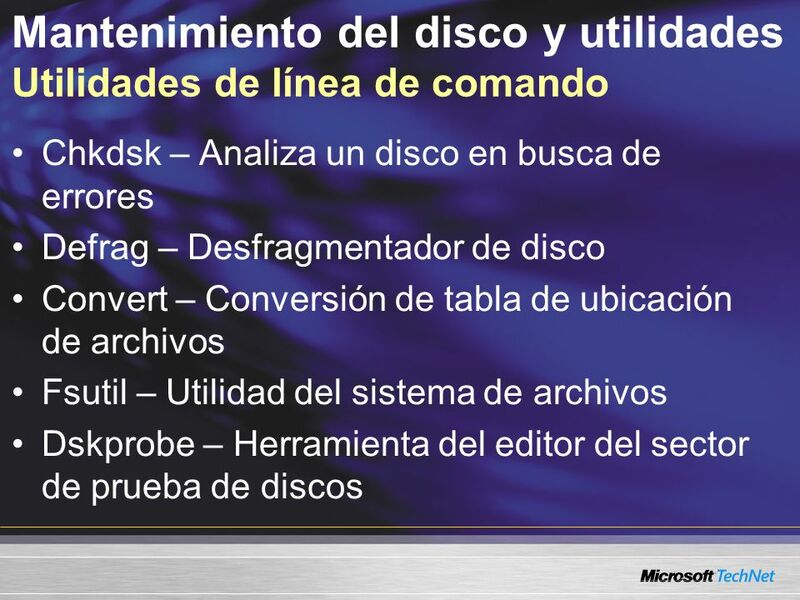 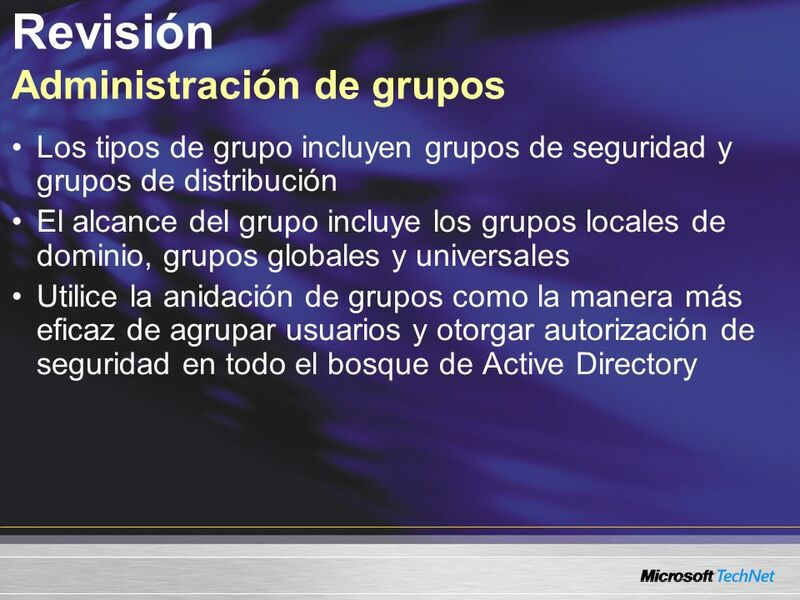 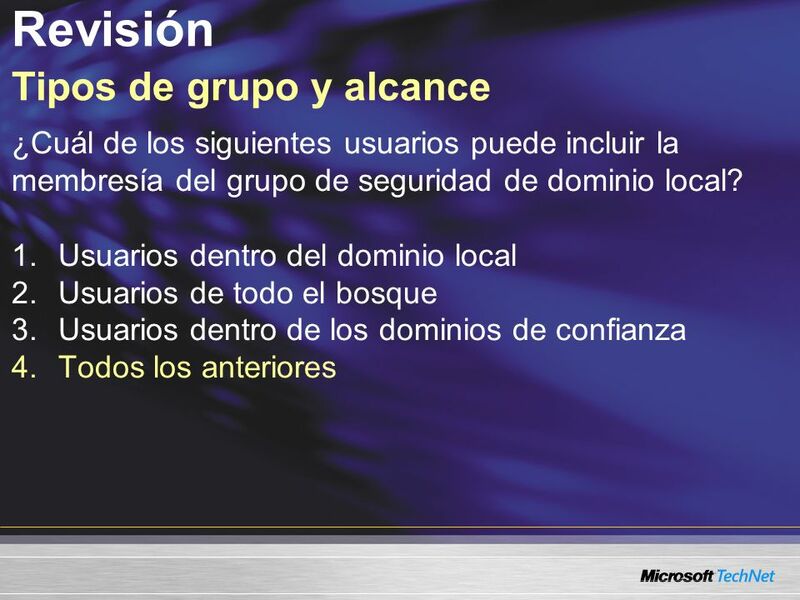 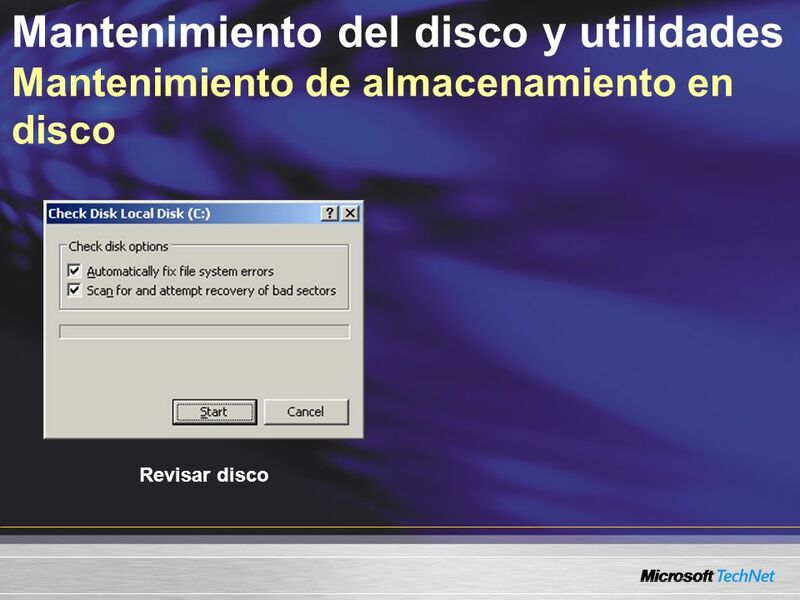 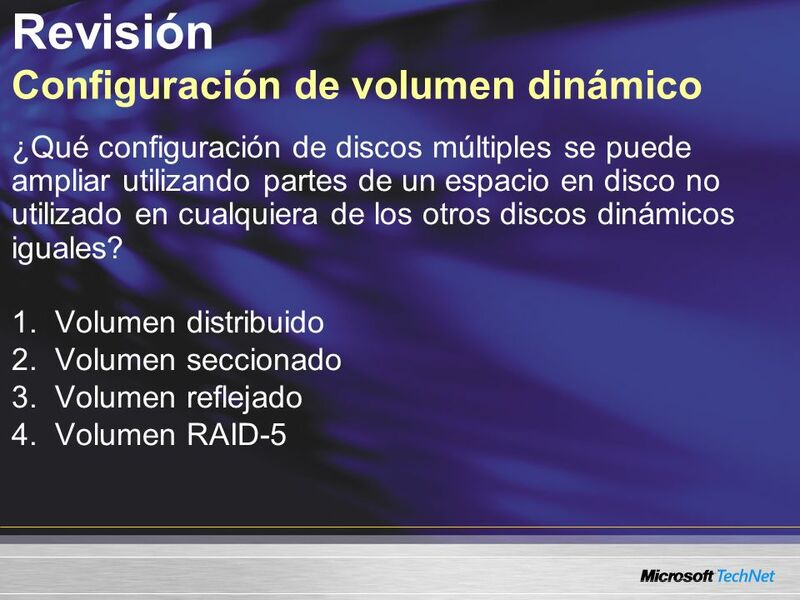 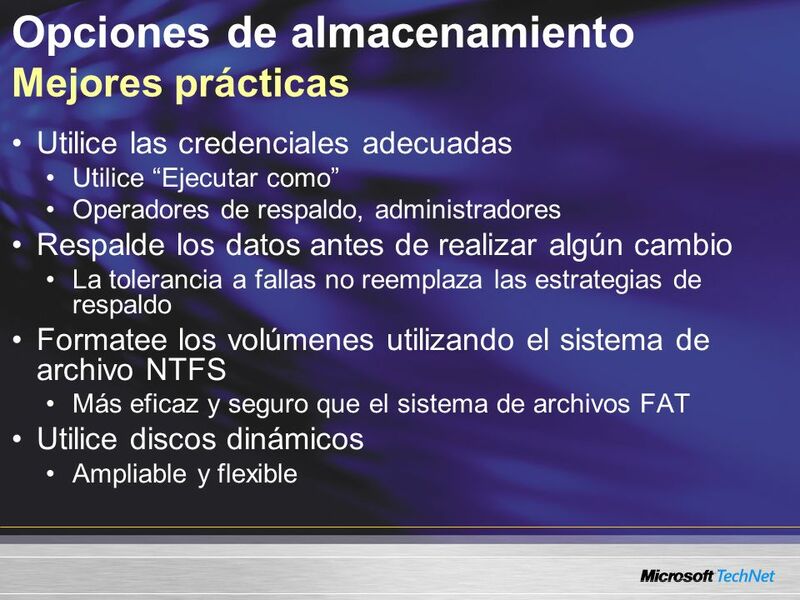 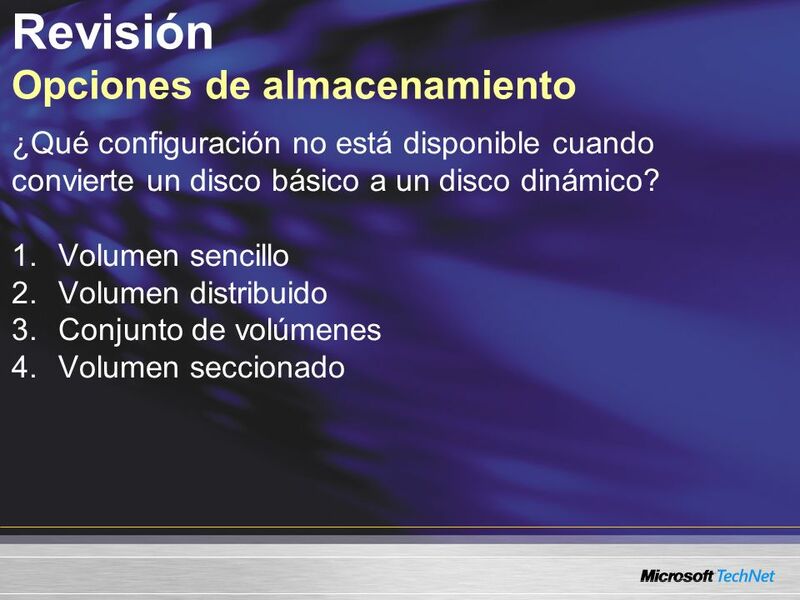 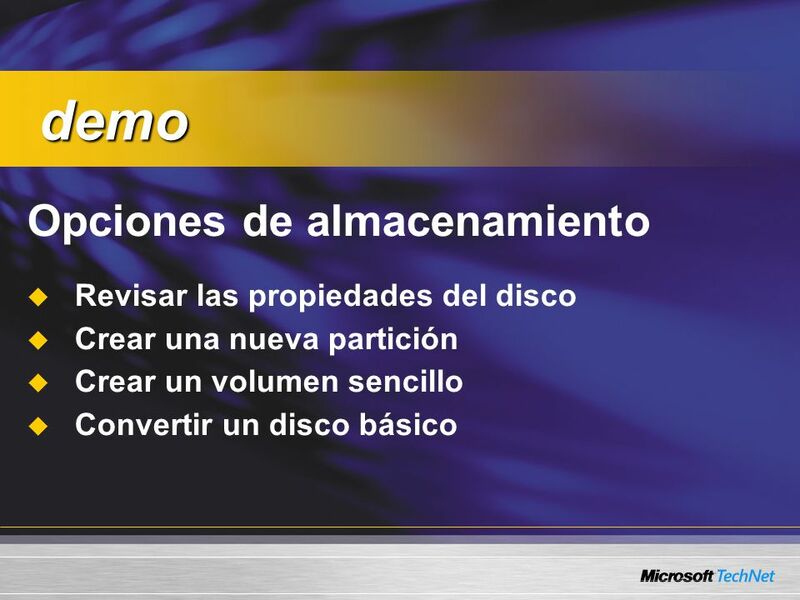 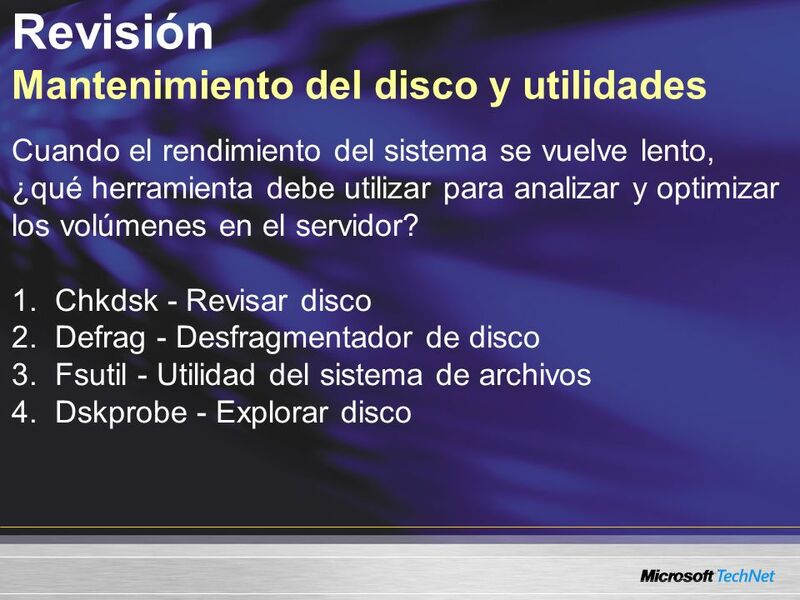 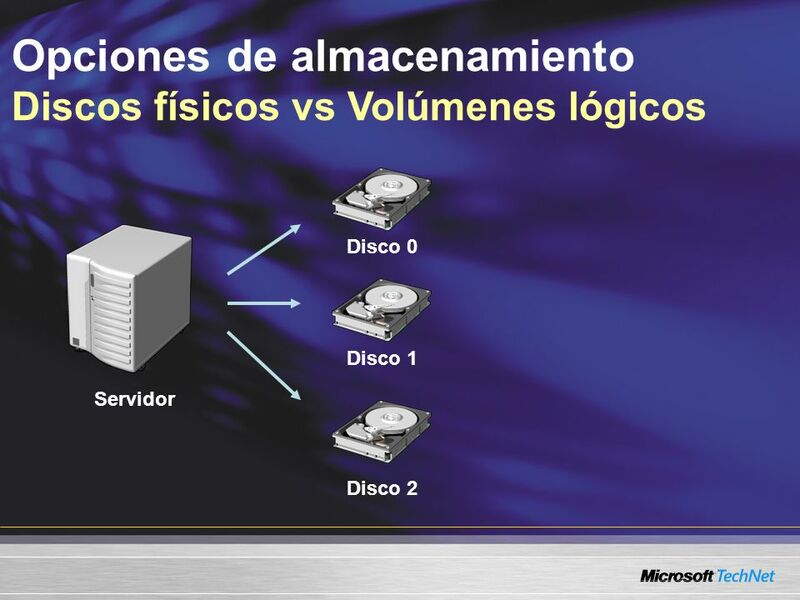 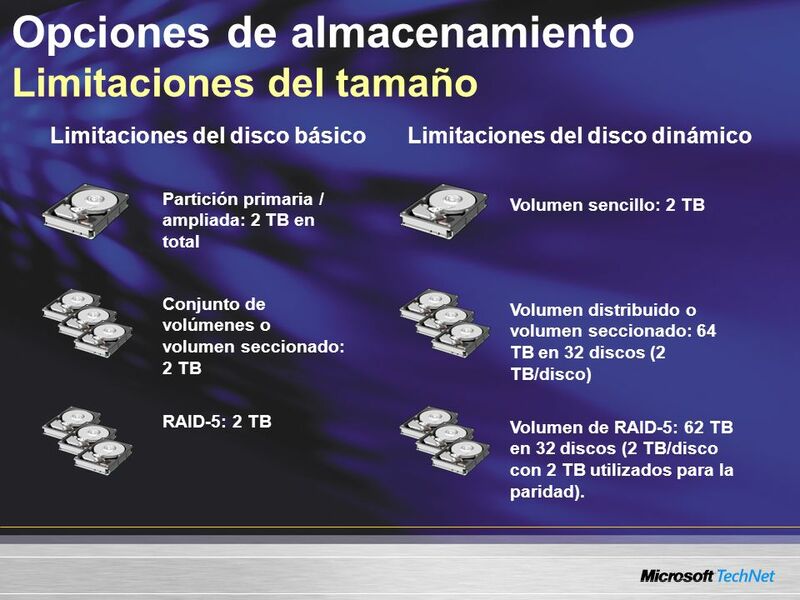 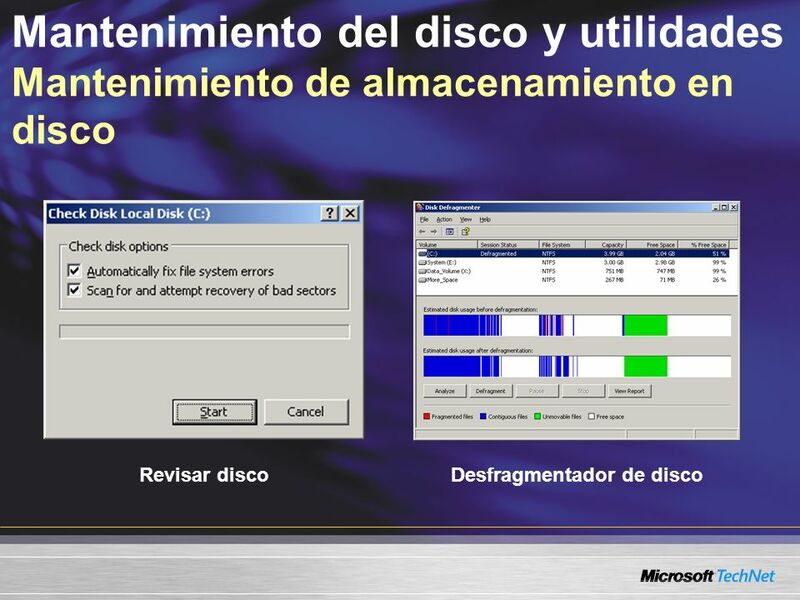 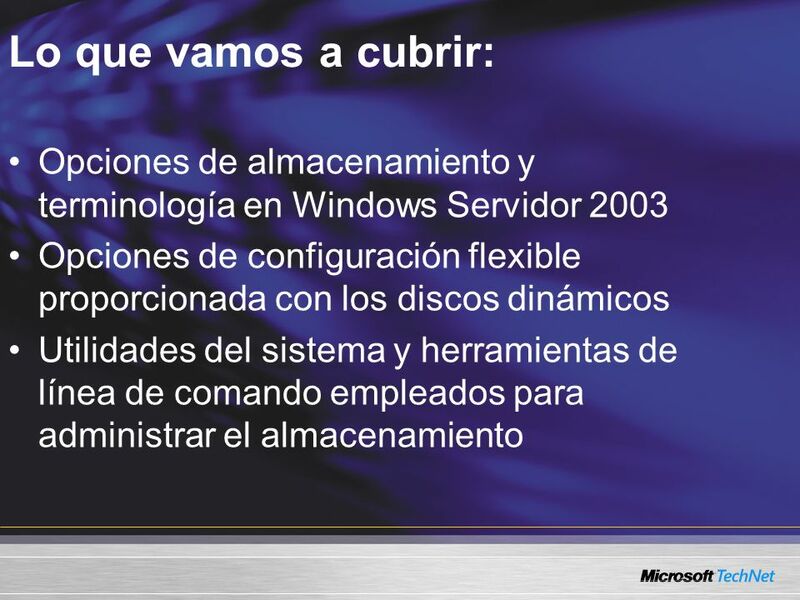 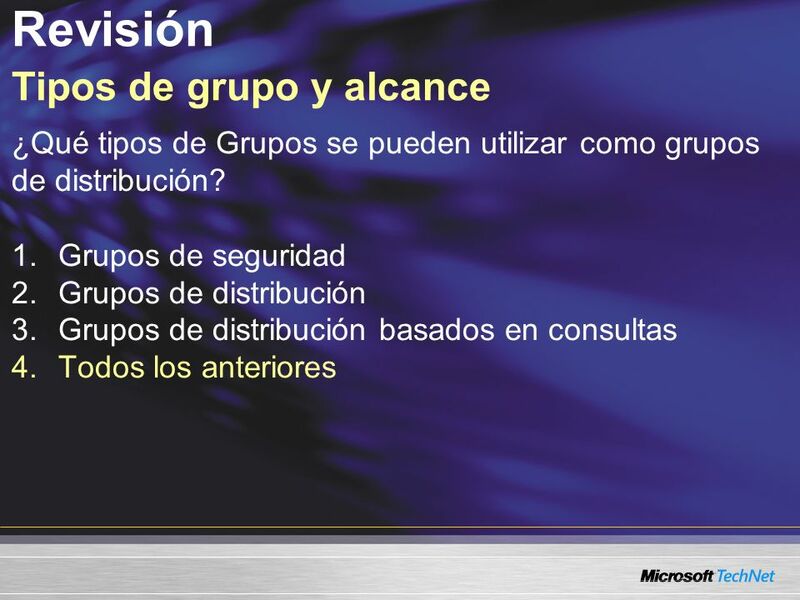 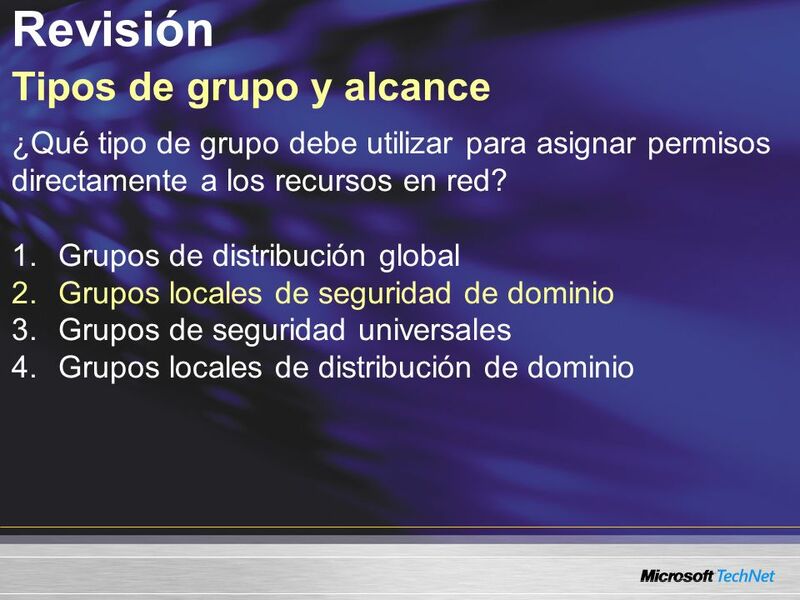 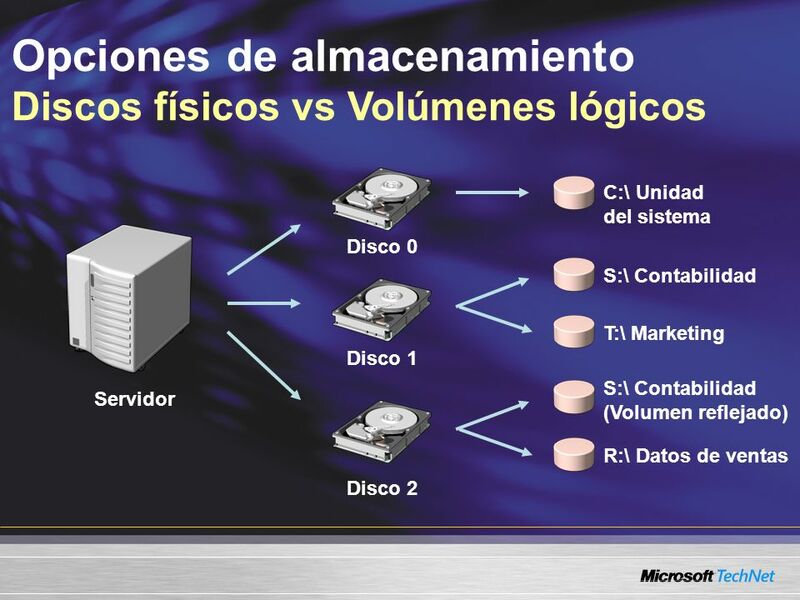 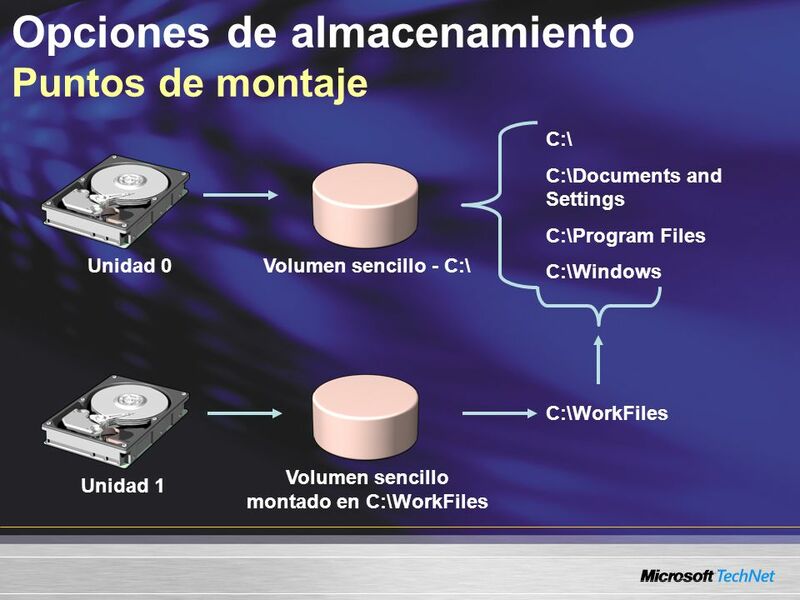 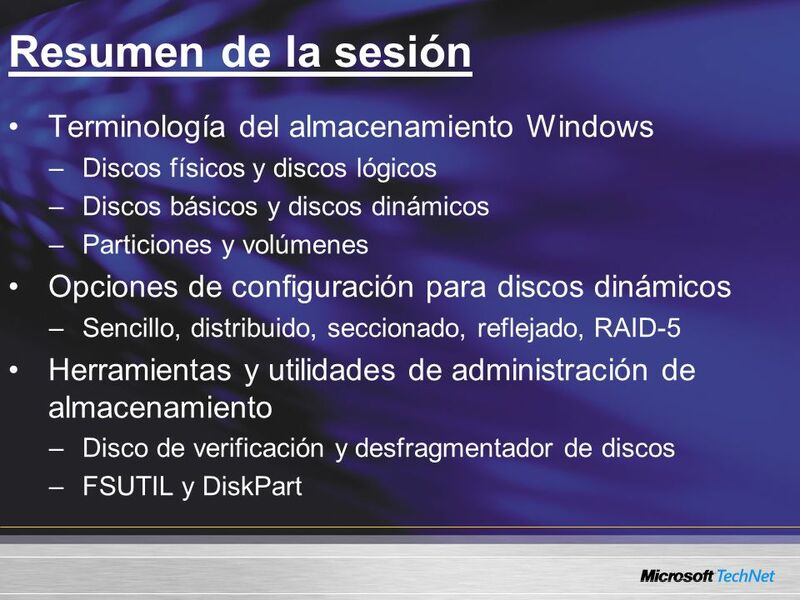 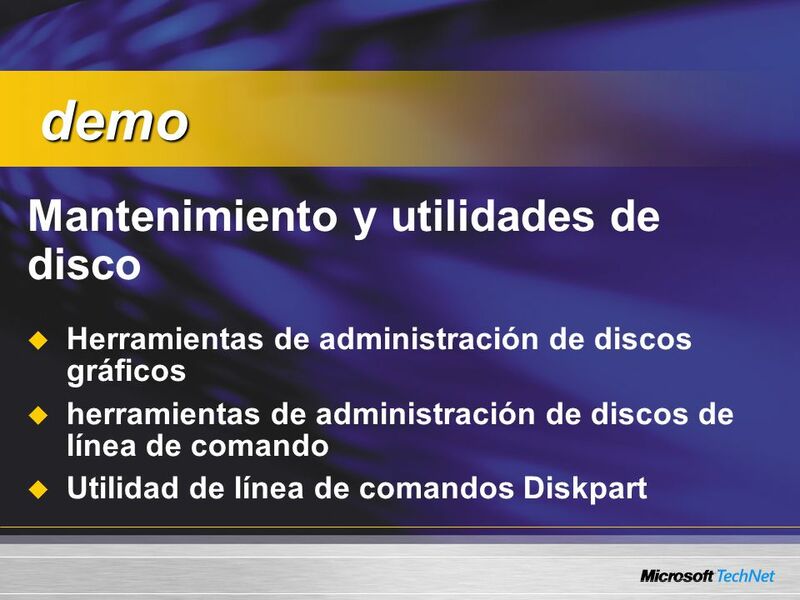 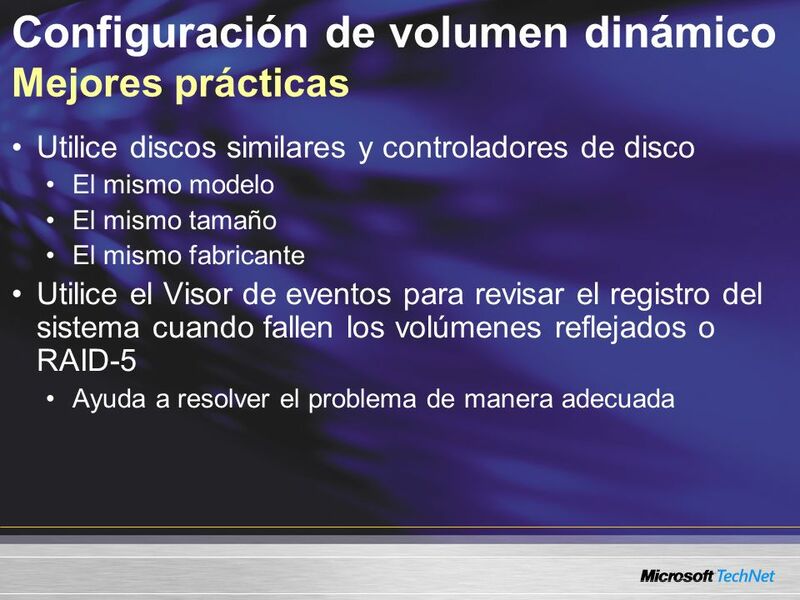 Limitaciones del disco básico Limitaciones del disco dinámico Partición primaria / ampliada: 2 TB en total Volumen sencillo: 2 TB KEY MESSAGE: Size Limitations SLIDE BUILDS: 0 SLIDE SCRIPT: Basic disks use the same disk structures as those used in Microsoft Windows NT version 4.0 and Windows Primary partitions and logical drives are limited to two terabytes (TB). 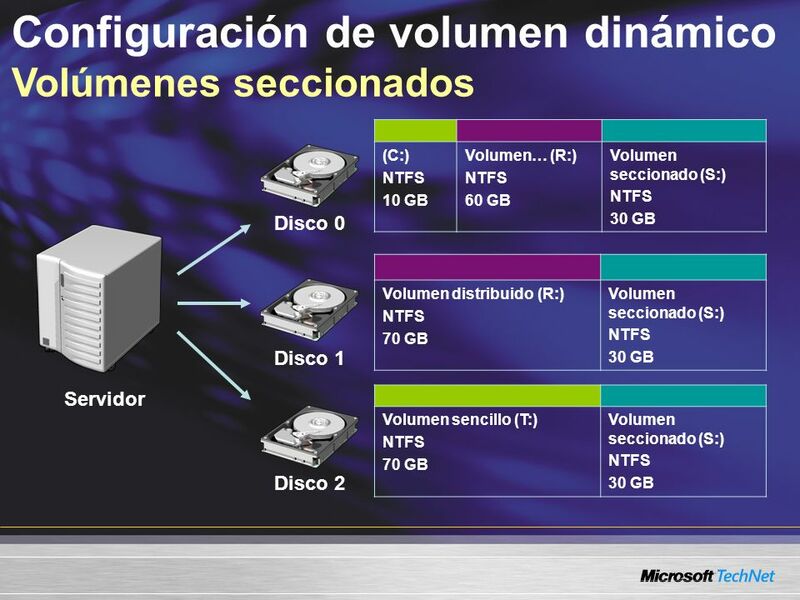 Even if you create multiple partitions on a single disk, the combined size of all the volumes cannot exceed 2 TB. 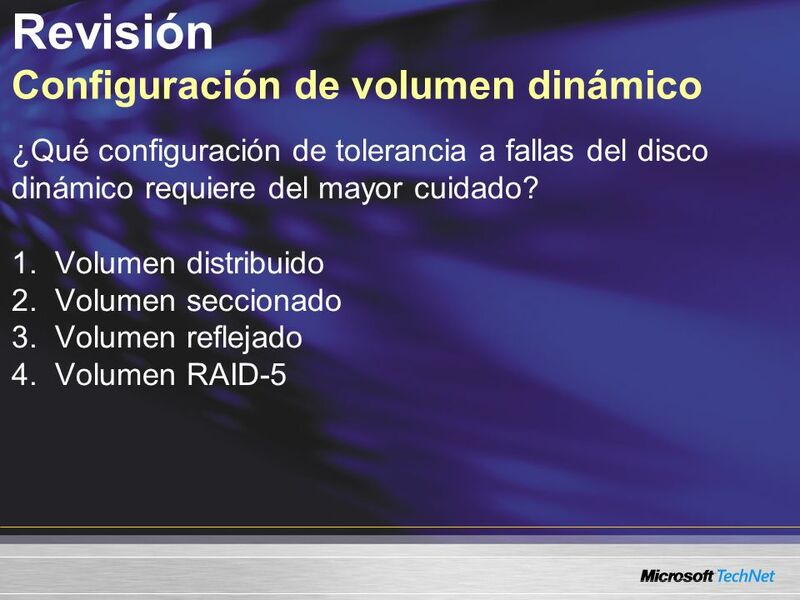 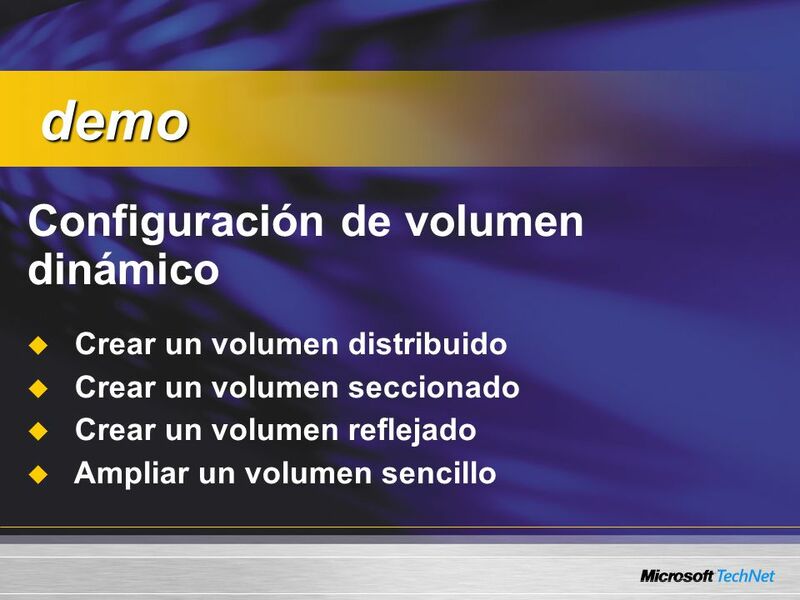 If you want to use volumes larger than 2 terabytes, you must use dynamic spanned, striped, or RAID-5 volumes. 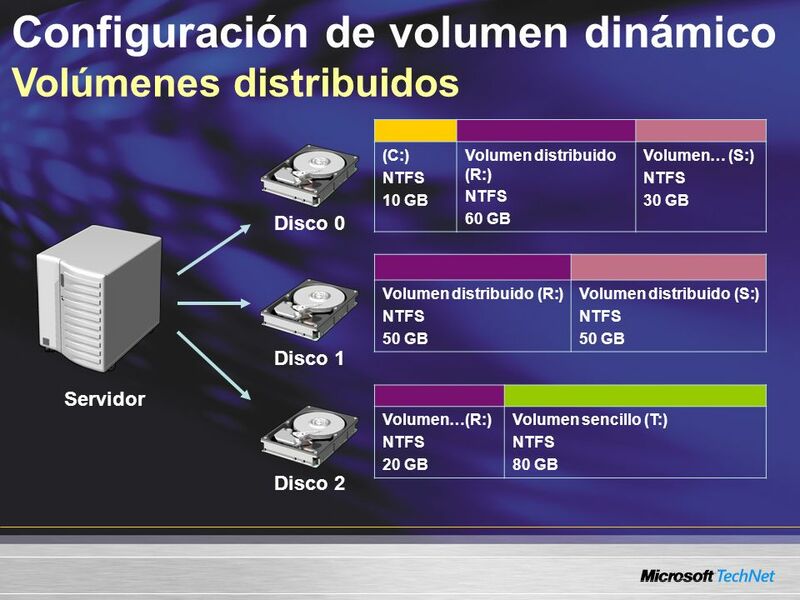 Dynamic disks offer greater flexibility for volume management because they use a hidden database, instead of the disk’s partition table, to track information about dynamic volumes on the disk and about other dynamic disks on the server. This flexibility allows you to create spanned, striped, and RAID-5 volumes that exceed the 2-TB size limit of basic volumes. 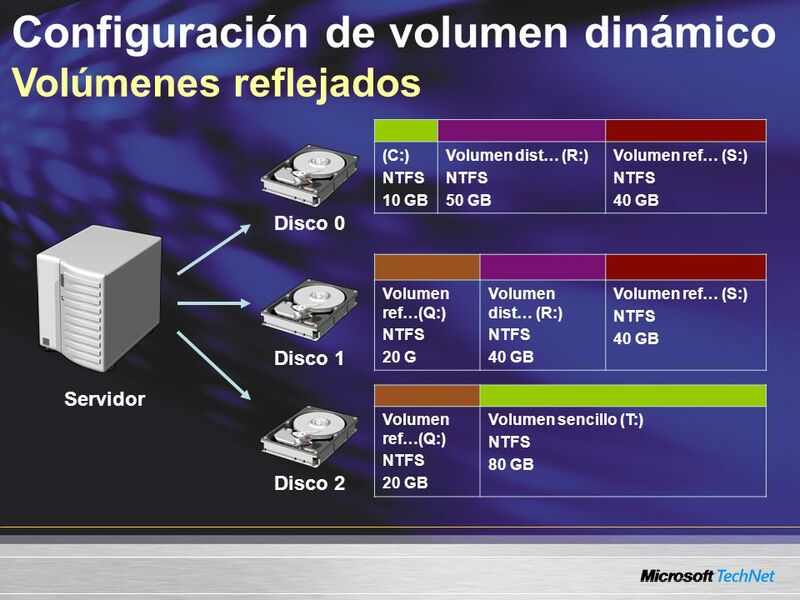 Simple and mirrored volumes still cannot exceed 2 terabytes, but you can combine dynamic disks to expand to a limit up to 64 terabytes. 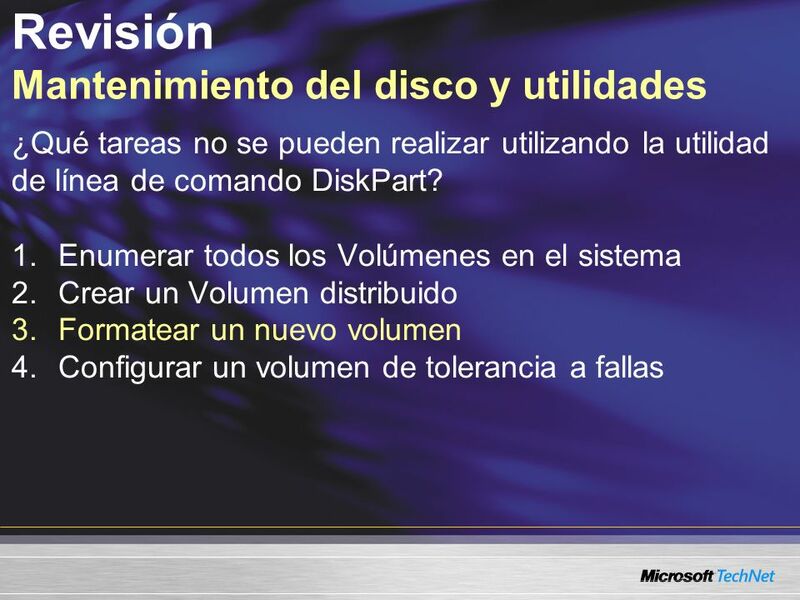 SLIDE TRANSITION: Dynamic disks also can use volume mount points. 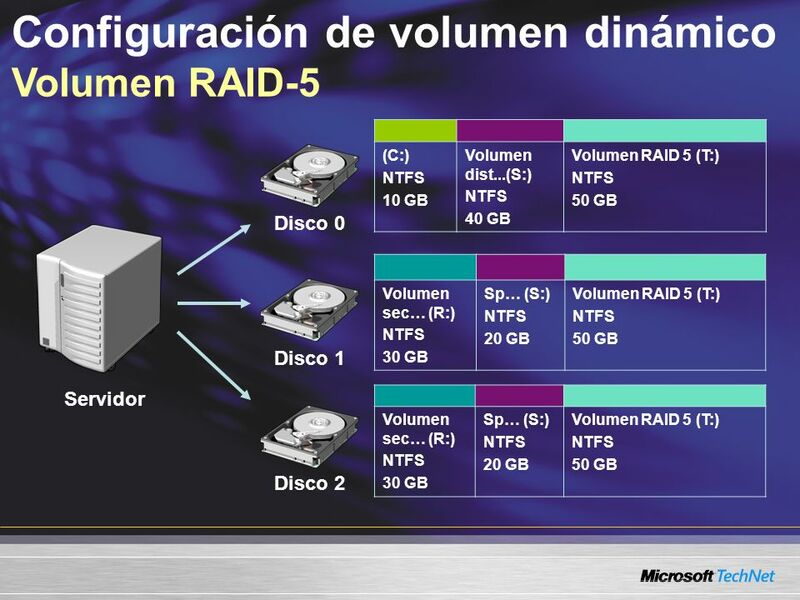 ADDITIONAL INFORMATION FOR PRESENTER: Conjunto de volúmenes o volumen seccionado: 2 TB Volumen distribuido o volumen seccionado: 64 TB en 32 discos (2 TB/disco) RAID-5: 2 TB Volumen de RAID-5: 62 TB en 32 discos (2 TB/disco con 2 TB utilizados para la paridad). 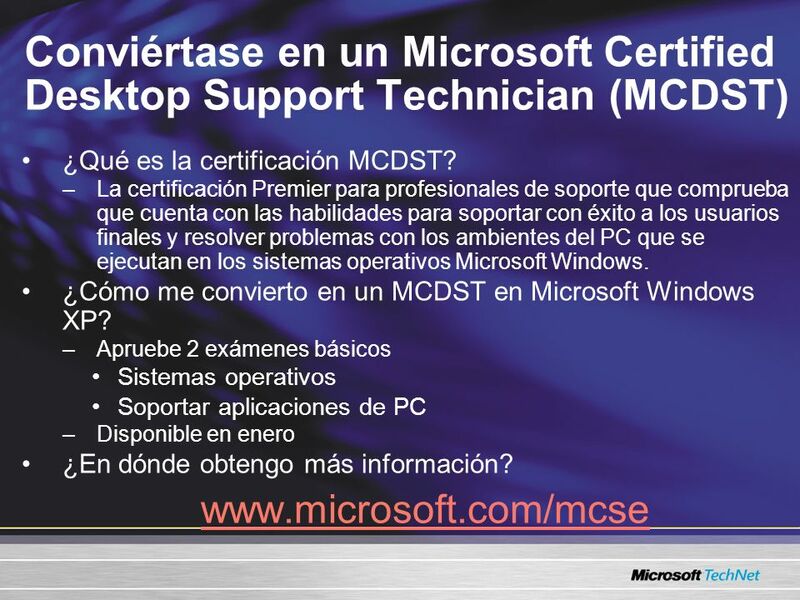 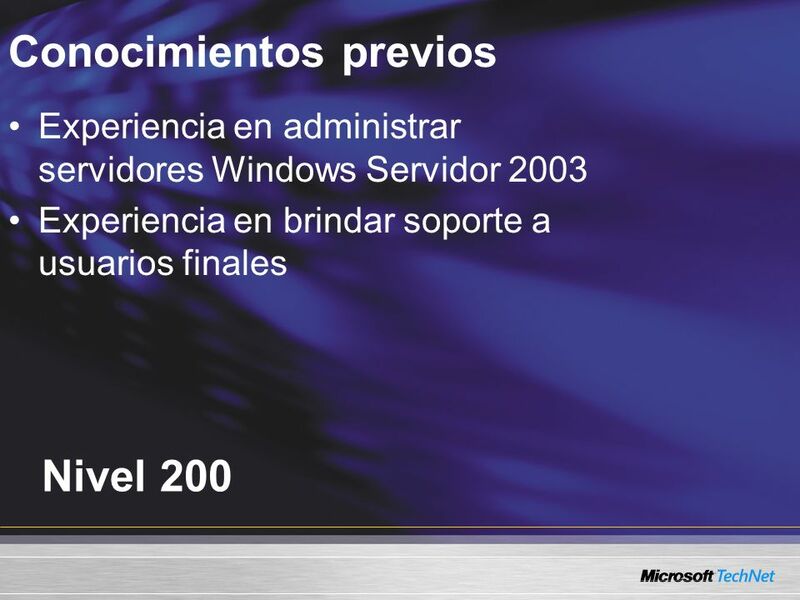 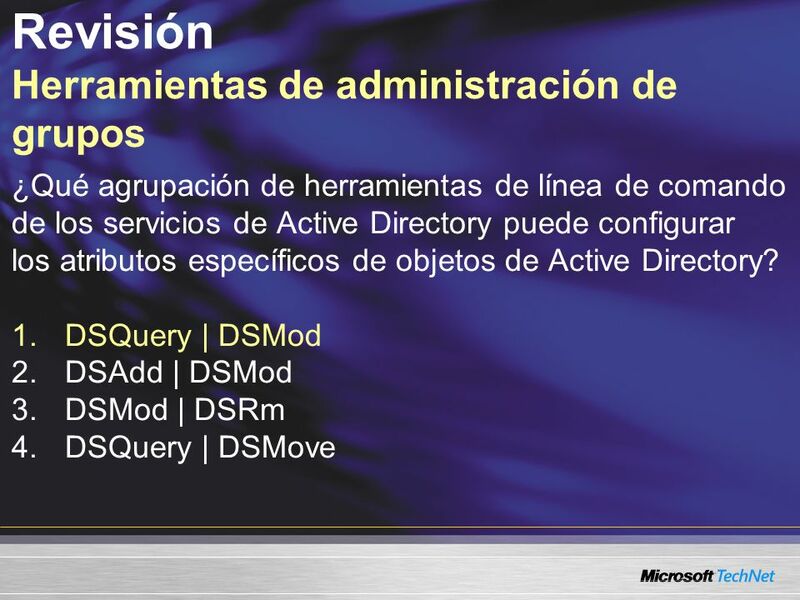 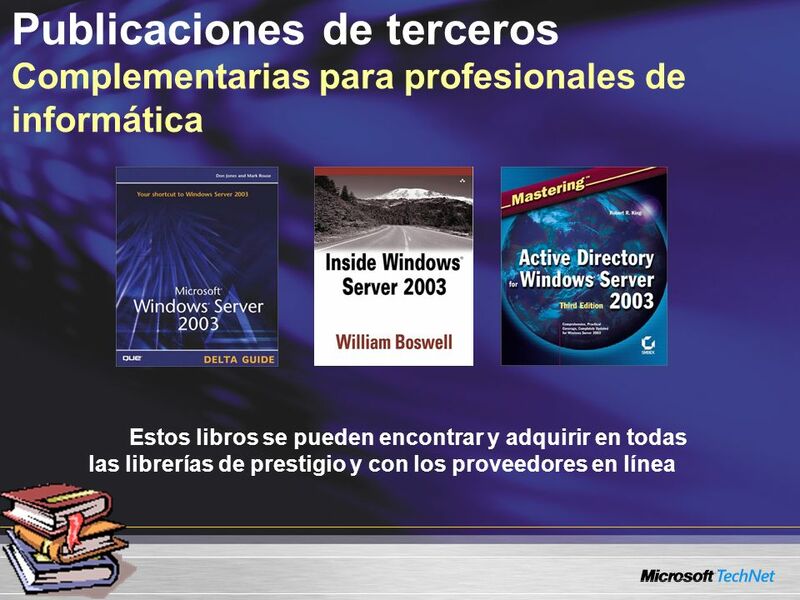 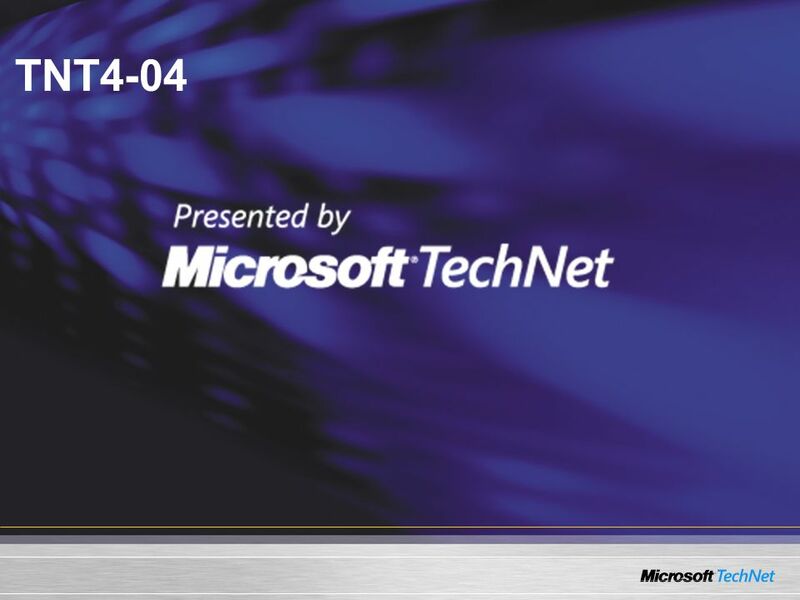 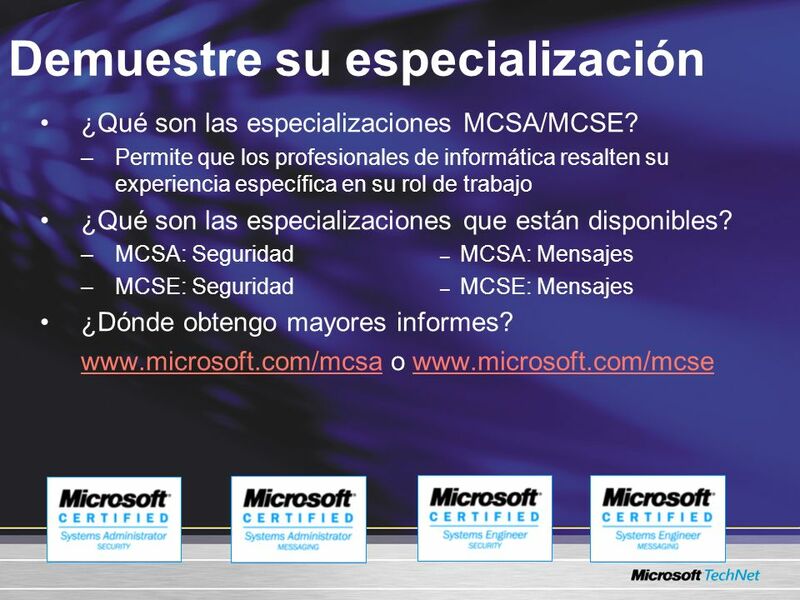 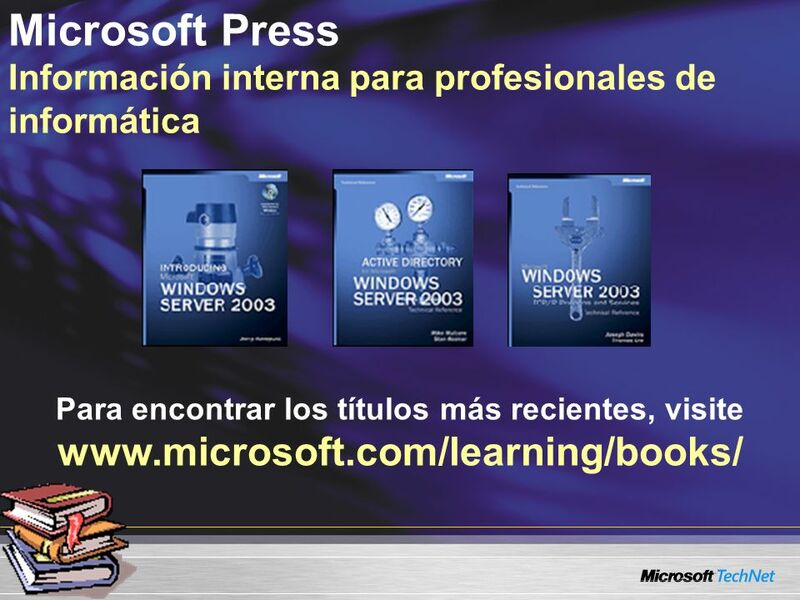 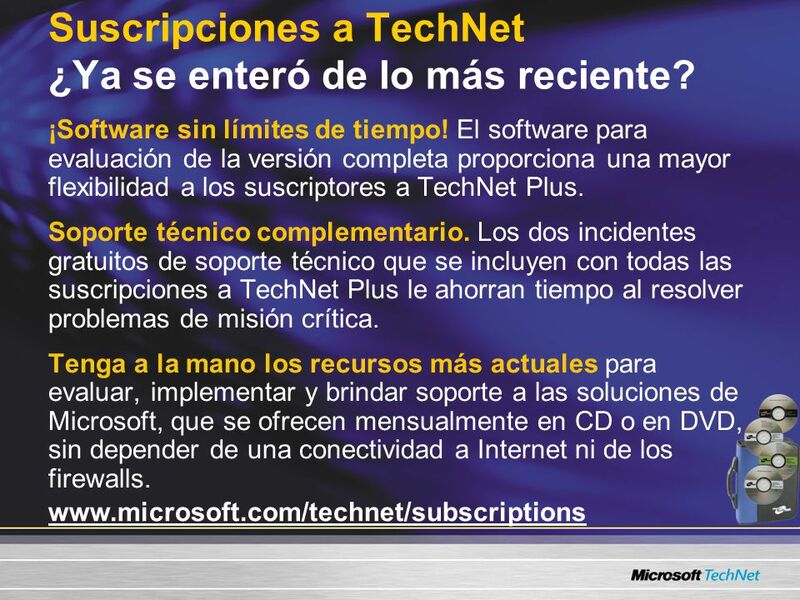 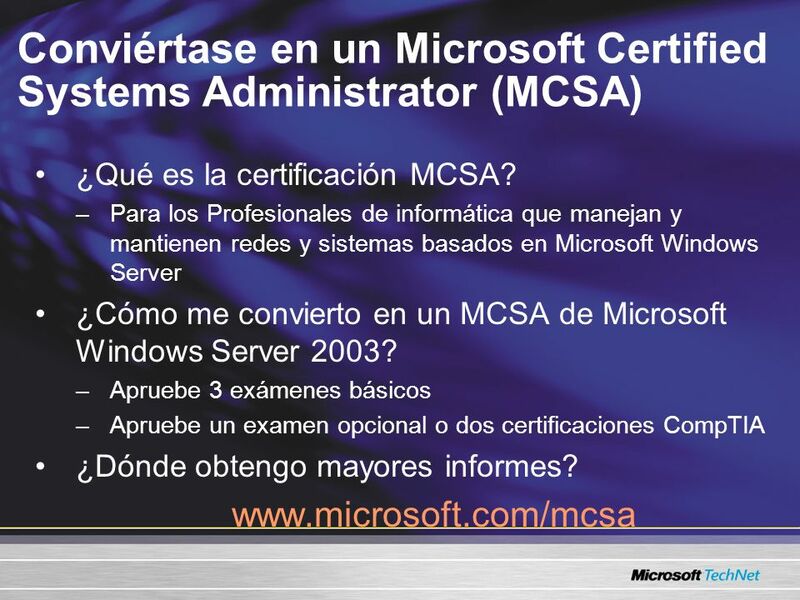 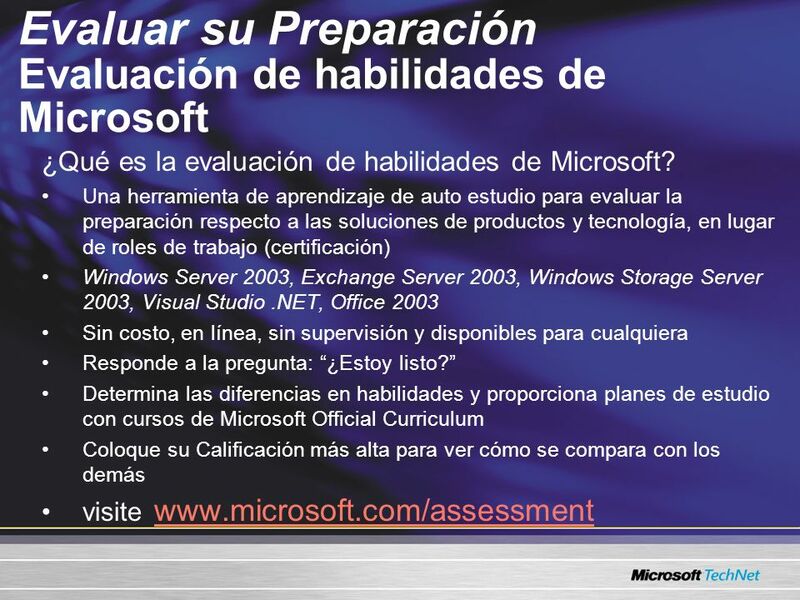 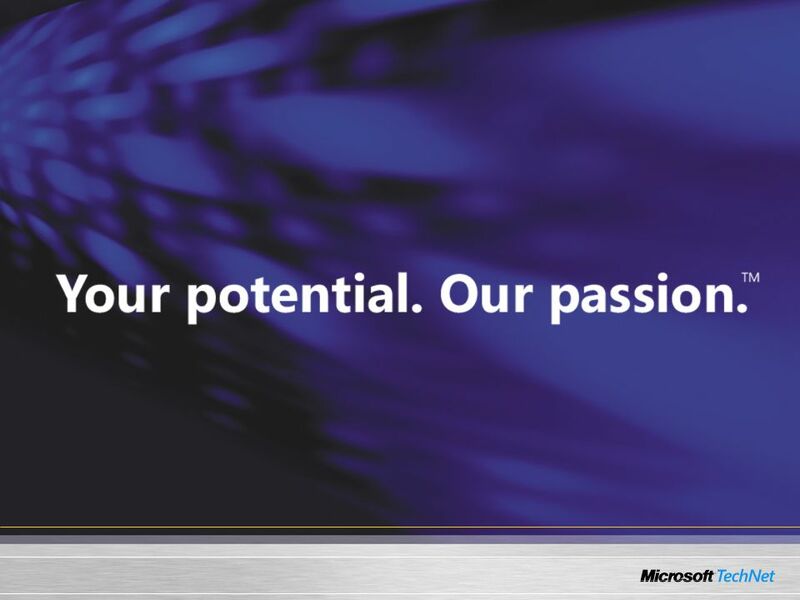 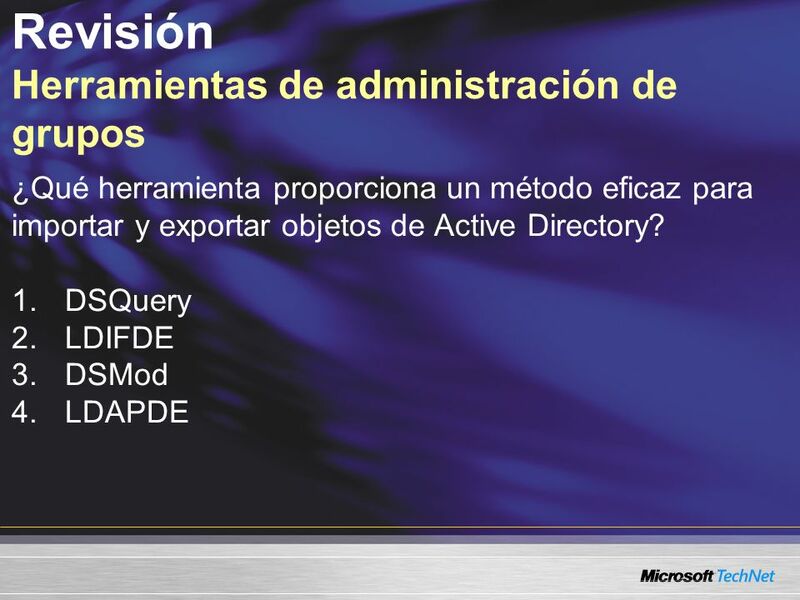 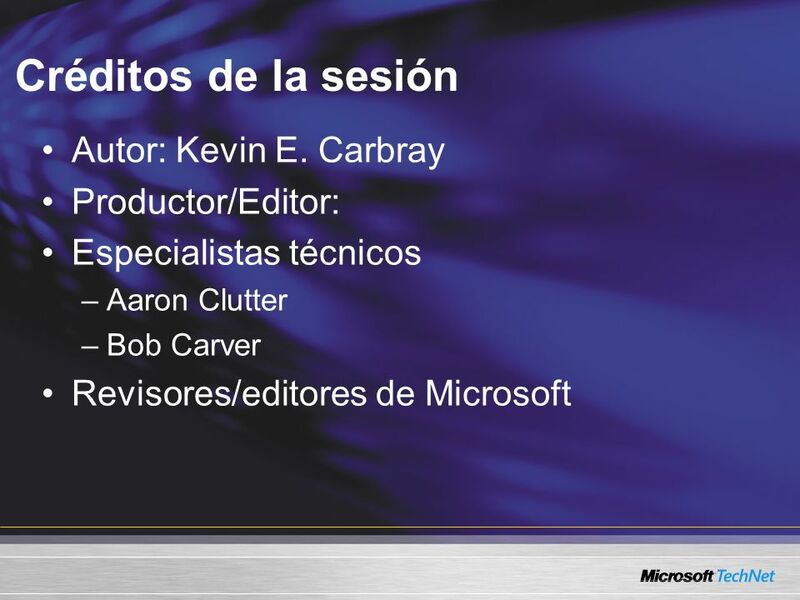 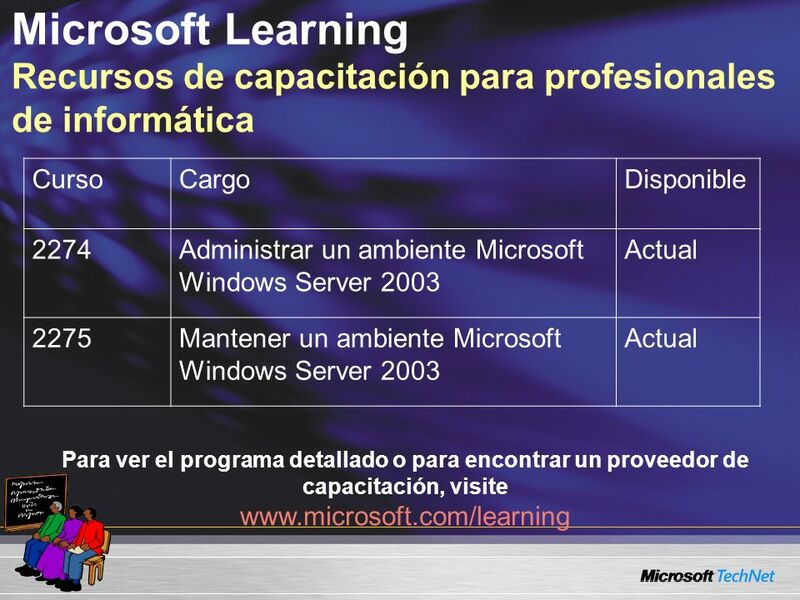 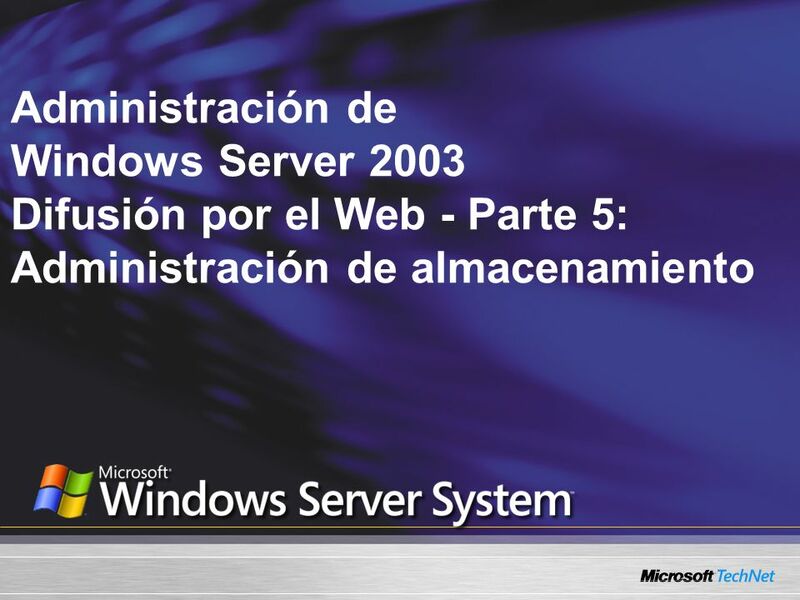 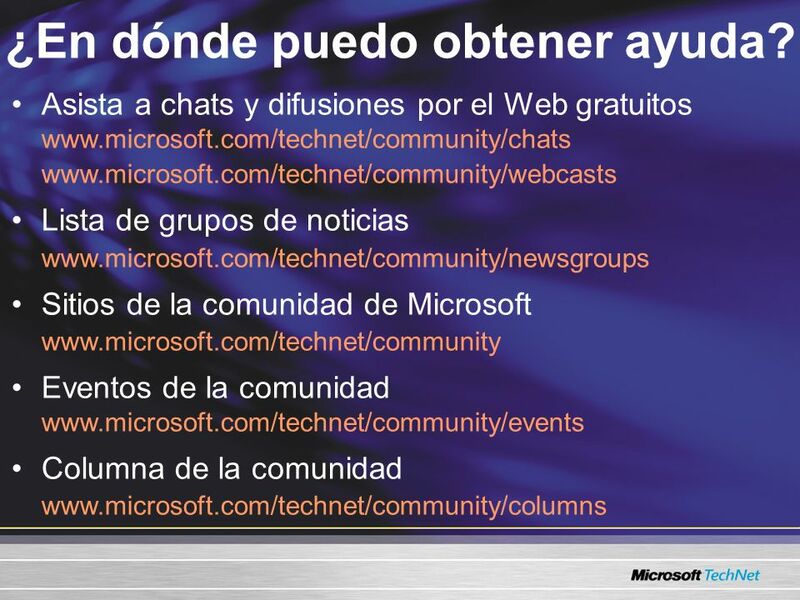 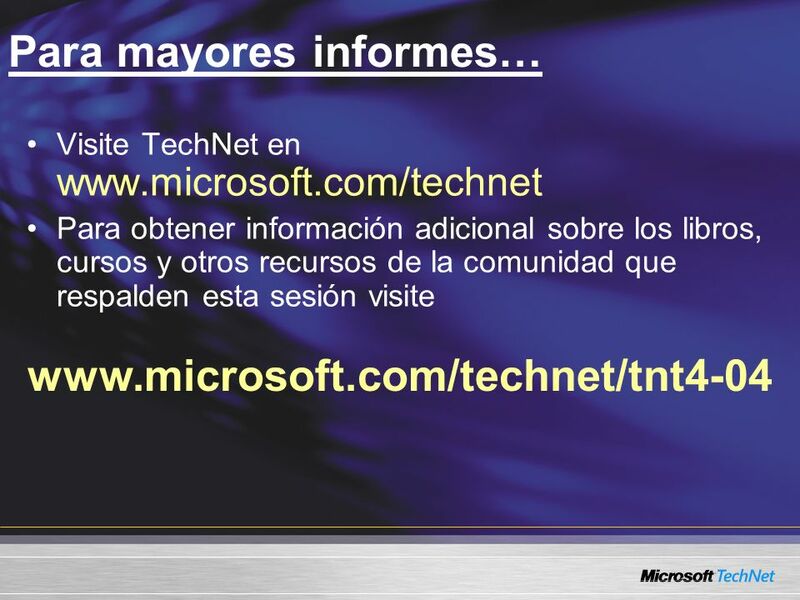 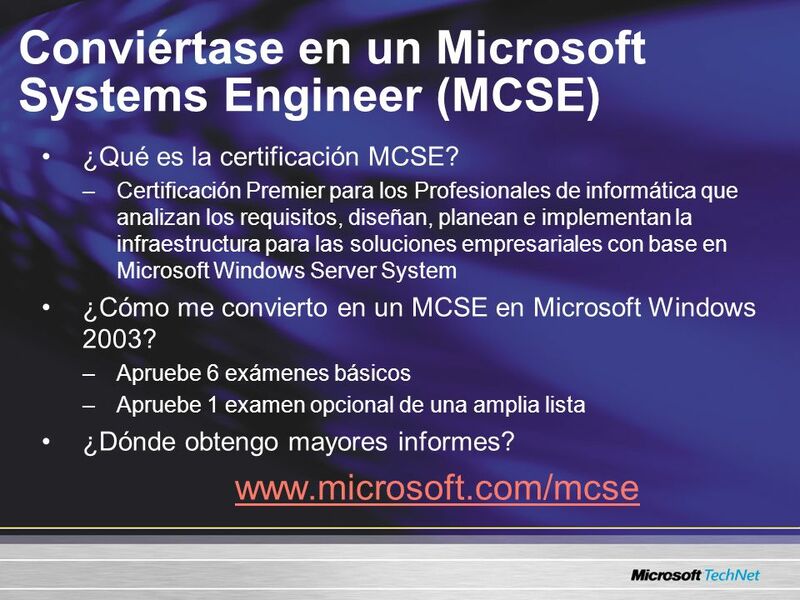 60 Suscripciones a TechNet ¿Ya se enteró de lo más reciente? 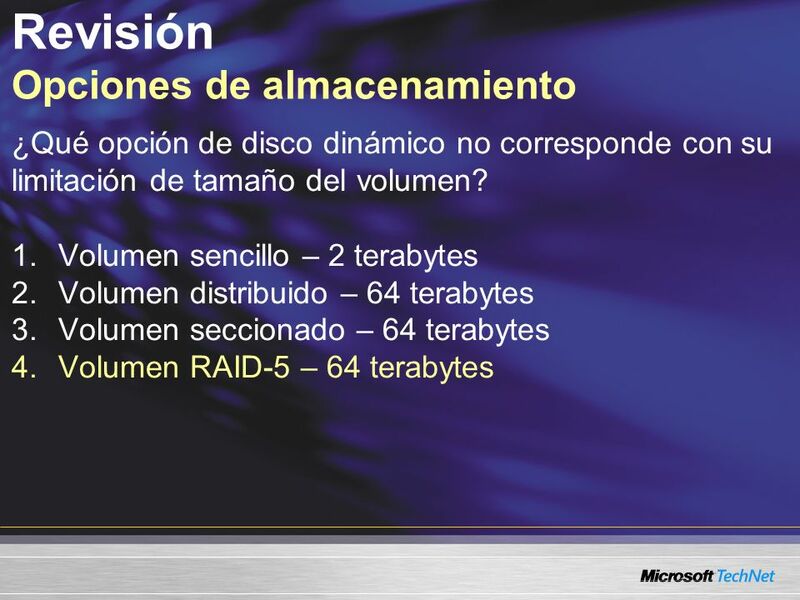 61 ¿En dónde puedo obtener ayuda?